Málaga8 was the stage chosen for our first presentation in Madrid, on April 19 with Pedro Andrea as a special guest. After a brief exhibition of the new floating bridge and the live demonstration of the real-time assembly on a guitar, we opened a question time. 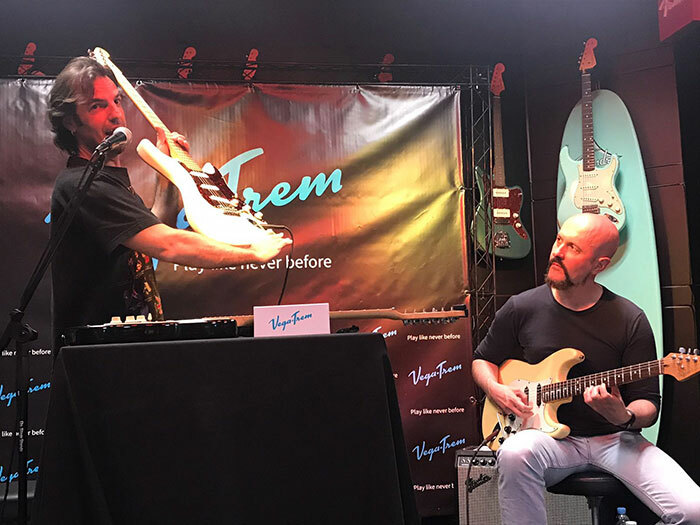 The clinic exhibition ended with a crazy jam of our luxury guest, Pedro Andrea, who managed to transmit his personal sound and the excellence of the VT1 in live. Thank you all of you!!! Malaga8 Thanks guys…all the staff for their sympathy and professionalism.